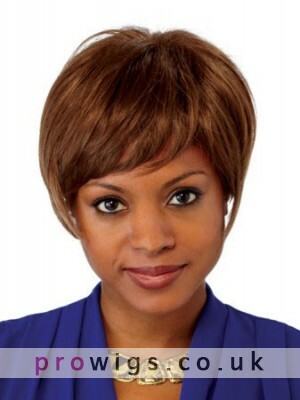 This short wig features sophisticated layers and a sweet fringe. It made from finest Heat Friendly Synthetic Wig fiber and constructed with lace front top construction that creates the illusion of natural hair growth. Second purchase from prowig and will continue to come back. My original choice arrived with a color not so flattering for me and prowig gladly and promptly exchanged for me. This one is exactly what I wanted and softer than expected. No one can tell it"s a wig!